A visual always helps. 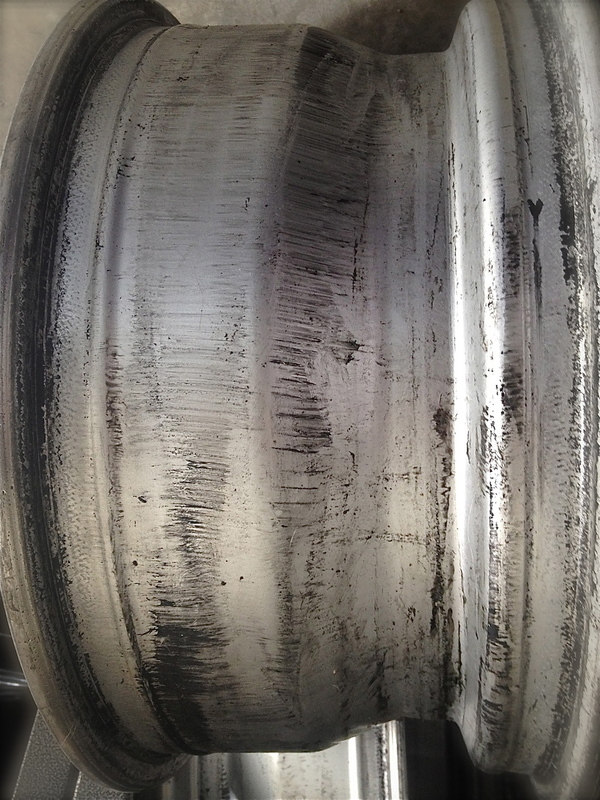 In these pictures you can see the circumferential raised lips, or beads, on a typical light-truck wheel which are often called the “safety bead”. They help the tire stay on the wheel. The first photo below shows a relatively new, 17 x 8-inch TRD Tundra wheel, but they are all similar. The safety bead ring is inboard approximately one inch from the actual tire bead seat. TRD 17 inch Tundra Rock Warrior wheel safety bead rings. Below is another example, a very well used 16 x 7.5-inch TRD FJ Cruiser wheel, which has had several sets of tires mounted. TRD FJ Cruiser 16 x 7.5-inch wheel with circumferential safety bead rings.